Of all the subjects I have written on.Non is more spiritual than 'Che'.Non was more complex......Non more liberating .Non more worthy! Mac D, it is evident that your inner being "your spirit" has seen the light. Blessed are you among many, you have received great favour this calls for a CELEBRATION - malibongwe igama Lakhe. I think i am missing something here. 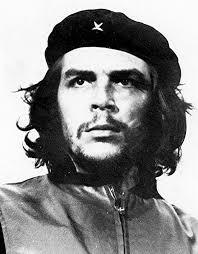 Would i be wrong in saying that the lesson here is that God , a giver and taker of life puts us through necessary struggles in order for us evolve and ultimately liberate us of our limiting beliefs as to better us, much like Che and many other leaders have done to liberate their own people? The lesson of God is an easy one that says:Trust in me the word and all that I have promised I will fulfill /Stay connected to me and all shall be well...My power of giving and taking life is irrelevant for I am a merciful God!